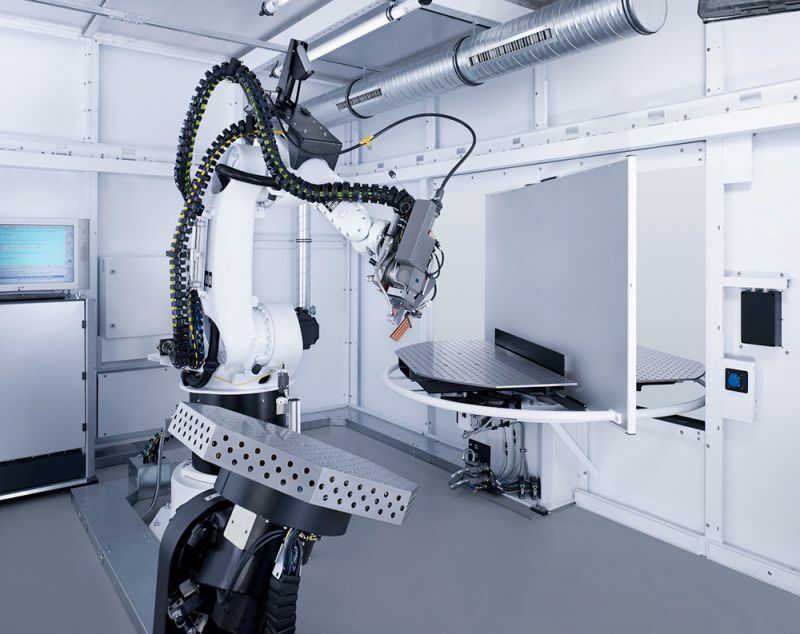 Welding is one of our core competencies - both manually and automatically by means of a laser welding robot - from welding on small threaded studs to the manufacture of complex welded assemblies up to 5 tonnes in weight. We know how to join sheet metal. As a certified welding company, we prove this on a daily basis. We keep our steel and stainless steel fabrication areas separate to ensure that our products remain free from contamination. We also weld aluminium on a daily basis. The use of laser welding in sheet metal processing allows rapid and high-quality production of small to medium volume batches. This method is perfectly suited for stainless steel, aluminium and steel sheet with up to 3.0 mm wall thickness. The results of laser welding are evidence of its many benefits. Orbital welding is a mechanised welding process and is used to weld tubes or pipes. Wherever consistently high quality, low error rates and stringent hygienic requirements have to be met, this welding process is indispensable. This procedure is applied in many high-tech industries, including the aerospace, chemical, pharmaceutical, semiconductor, food technology, beverage and power plant engineering industries. Of course, we possess several state-of-the-art TIG welding units with and without an automated cold wire feed. We also possess several MIG and MAG welding units. Removing weld spatter and fettling of weld seams is, of course, part of the service.